This was a challenging and complex project. 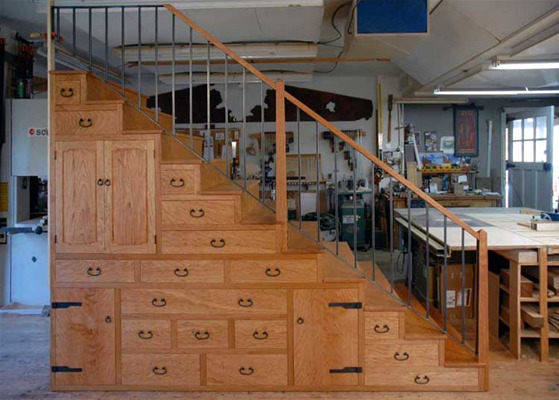 It involved designing, building and shipping a tansu style staircase to California. We did the entire project in collaboration with the client, the builder and the architect by email and CAD.